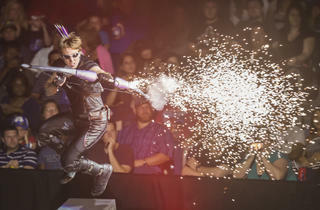 More than 25 Marvel characters—including epic superheroes and Avengers members such as Spider-Man, Captain America, Hulk and Iron Man—come to life in a dynamic on-stage spectacle, enhanced with cutting-edge special effects and pyrotechnics. 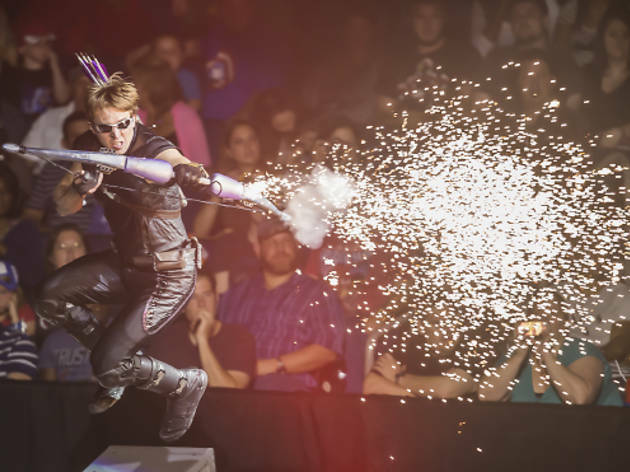 A cast comprised of gifted performers and athletes (X Games competitiors included) take on stunts, martial arts and motorcycle feats in this high-energy, live action show. Young audiences will geek out over a close-up look at their favorite heroic characters from Marvel comics and films battling evil nemeses like Green Goblin, Loki and Electro for control of the Cosmic Cube, the source of ultimate power in the Marvel Universe. Ages 3 to 12.